Lightroom is an amazingly powerful photo "developing" program. I am continuously impressed by how much you can increase the visual value of even the least interesting photographs. 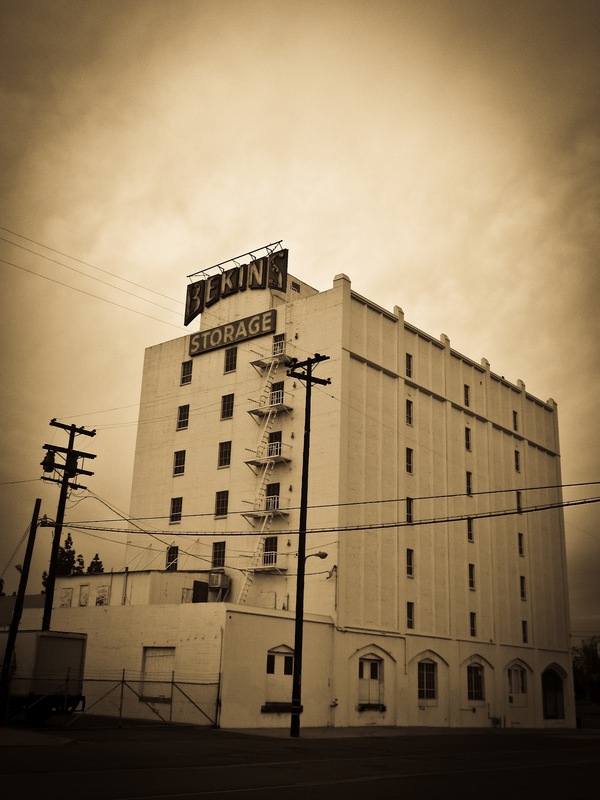 That isn't to say that I find the Bekins Storage building uninteresting; just the opposite is so. I love interesting architecture, abandoned buildings, and the contrast between eras. Actually, this building is so much more interesting than modern warehouses and storage facilities. My point about the power of Lightroom to convert "least interesting" photos was because the original photo was not taken in particularly good light, but I was able to save the shot by running it through Lightroom.